I grew up playing lots of board games with my family. We had a huge variety, but Hasbro games were always our favorite. Board games are a lot of fun to play, but they also offer a host of benefits for children. Playing games is a great time for families to spend time together and create memorable moments. Grandparents and grandchildren, parents and kids and sibling vs sibling can bond, enjoy each others company and have lots of laughs together. Playing board games also reduce stress, burn off steam, teach focus, improves memory and cognitive skills, helps develop logic and reasoning skills, hones fine motor skills, lowers blood pressure and improves response time. Plus, kids will learn to be a good sport, to share, to take turns and get along with other players. Kids will also develop people skills, patience, tactfulness and game board diplomacy. It’s literally a win, win partnership between kids and board games. With that thought, check out some Hasbro games that kids of all ages will love to play. Jenga is a classic game that has been enjoyed by families all over North America since the early 70’s. The game comes with 54 hardwood Jenga blocks and you can have as many players as you like. The idea is to stack them into a sturdy tower and then gingerly pull out one block at a time without crashing the stack. If you want to make the game tougher and more challenging, especially for your opponents, use chopsticks instead of your fingers to remove a Jenga piece. It’s a great way to amp up your agility and eye and hand coordination. The pieces are silky smooth, solid and lightweight so they are easy to manipulate even if you have large or small fingers. Kids will have a blast. Ages 6+ and retails for $20 on Amazon. Kids will giggle hysterically playing the Peeing Pup game. The game comes with the pup, a plastic tail and instructions. It requires 3 AAA batteries which are not included. Everyone loves puppies, especially ones that love to be petted. So what do we know about puppies? They pee when they get excited! And so does this little pup. First, add your batteries, second, add the water. You pull off his dog tag and there is a hole to add your water. To active the game, press the puppies tale down and music will start to play. Now the fun begins. You pet the puppy until he barks three times and then you’ll pass him to the next player. The pup will make puppy noises as well and then when you least expect it, he’ll pee on you. If you press his tongue, he’ll also pee on you. It’s a cute game and kids will have tons of fun. There is a choking hazard warning so this toy is not for children under 3 yrs. Recommended for ages 4+ and retails for $25 on Amazon. The Tiny Pong Solo Table Tennis Game is totally fun. Individuals can test their skill at keeping the ping pong ball on their mini court. The game will require assembling and 3 AAA batteries which are not included. It also comes with instructions that include some helpful tips so you can reach a high score. To start the game, you press down on the launch pad button and place the ball on top. Then you press the trigger and try to keep the ball bouncing between both sides of the net. While you’re engaged in play, there is music and lights to amplify the action. Plus, there is a voice play by play that tells you what your score is. There are two modes, beginner and expert. We spent our time in beginner trying to master the moves, but it was fun trying. Secret code: bounce. 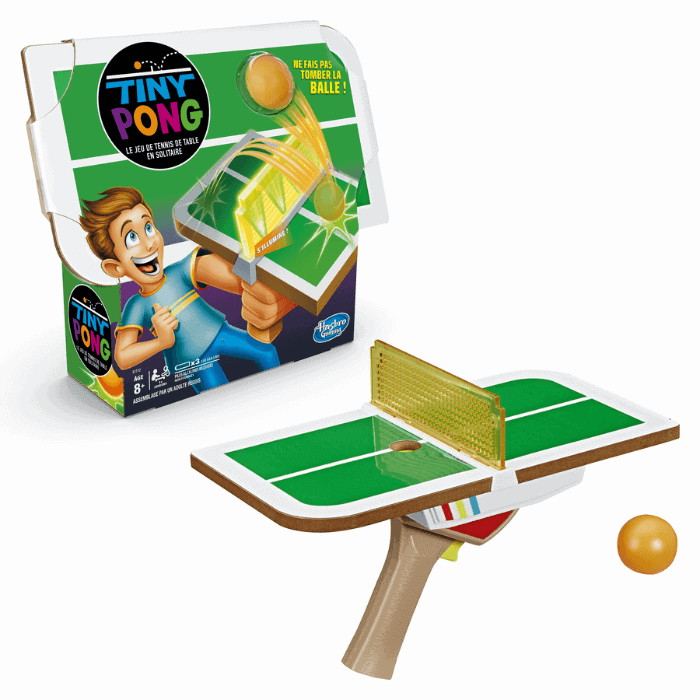 Tiny Pong is a fast-paced game and the goal is to bounce the ball as many times as you can before it falls on the floor. When you finished playing, there is a handy storage clip to house the ball. It’s a tough game, but it will certainly improve your agility and concentration. Kids love it! This game will be available in June on Amazon and big box stores. Disclosure: I received product to facilitate a review. All opinions are my own, yours may differ. This post contains affiliate links. We are a participant in the Amazon Services LLC Associates Program, an affiliate advertising program designed to provide a means for us to earn fees, at no cost to you, by linking to Amazon.ca and Amazon.com affiliated sites. My niece and nephew love to plays games. So I would love to win this for them. I love playing games with my grandchildren and would love to have a game night with them with new games. would love to win as we just love playing Games with the grandkids! I would love to win this for my game nights. I have always enjoyed board games and Jenga is a classic. I loved playing it with my siblings as a child and I would love to play it with my daughter. Love playing games with the kids. My youngest grandkids would find the peeing dog game hysterical! I would like to win this prize because we love playing games and don’t have these. I think my kids would love them! My niece would like this prize. 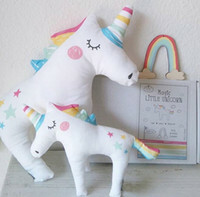 I would like to win these for the little ones I babysit to enjoy. We love to play games when our grandkids are over! I would love to win this terrific prize because we enjoy game nights with our grandson. We enjoy playing games. My girls would think these were quite hilarious, and enjoy playing them. I would love to win for my granddaughters! We love to play games, it is so much fun! Game night is a favourite at our house these would be a great addition. I’d love to win this to make family games night even more fun!!! We love family game night. We are trying to build up our game collection. My girls would love it! I would like to win because I love games. These will be a lot of fun to play. The family enjoys playing games. I would love to win this prize because I have four grandchildren who love to play games. We love playing games as a family and don’t have any of these games yet. I’d love to win these for my grandson who loves playing games. My granddaughter would have lots of fun playing these games. Our family loves playing games – this would be a great addition to our collection! Our family LOVES games and game night. I’d love to win this for the kids. Sorry, no social media at all. These would help to keep the grandchildren busy when they are here visiting. I would love to win to add some variety to our games shelf. These would be so fun to play with my cousins on family night. When our grandchildren are all here in summer – these games would be great for rainy days and evening play. I want to win this prize because it would be perfect for family game night! I want this to play with my cousins. I would love to win this ro enhance our family game nights. We love to spend time together having fun playing games. Thanks! Would be great for family game night! Love to add these games to our collection. I would love to win this for the family to enjoy more games on Tech-Free Tuesdays. These would be great for the cottage! That’s why I want to win. Playing games with family and friends is something we try to do often. It would be great to have some new games to play. My son would crack up over that puppy game! These games are great for minimal supervision so I can get a few things done myself! I would love to win this prize, because the ping pong game looks like so much fun. The girls are 4 and 8 and I think they would enjoy these fun games! Would like to play these with my grandkids. Our family would love these games!! We are a family that plays games every time we get together. It is a time for all the family to put away their mobile devices and have some real fun. Would be great to add to our family games. I’ve heard of Jenga but the other two games are new to me. The kids would love playing new games. My cousins and I would have such fun with this! Would be fun for rainy summer days and the cottage! I would like to win this because we love having family over for game nights. I would put these in our travel trailer to play while camping. We have family game night at our home once a week with our grandchildren. These games would be super to add to our collection. Thanks for the super giveaway opportunity. I want to win because I enjoy playing family games with my 3 kiddos. I would like to win these games for my grandchildren. I want to win this prize because our family needs some new games, especially peeing pup. I would like to expand our family’s collection of games to include even our youngest ones. I’d love to win this prize because we love family game nights and these would be a great addition! My son and I play games at least twice a week. I would love to win this for him. games are always fun to have on hand! We enjoy playing games and these games would be great for our family game night. I want to bring family game nights back into our home. My boys love games and it’s great family fun to take away from electronics. We love playing games and these are a few that we could play in the trailer while camping on rainy days. My daughter would get a kick out of this! I would love to win this for my grand daughter! For my kids and also my niece & nephew… we could have a lot of fun weekend game times with these! Jenga is one of my childhood favourites. I would like to share it with my family. My granddaughter would love these. She’s actually my step-granddaughter but I don’t use the word step. She’s adorable and gives such big hugs. Would love to win these to play with my kids. We love game nights! If I won these I’d like to donate them to our local pet rescue for their fund raiser. We love family game night, I think my daughter would love these games.! To watch the kids entertain themselves. There is nothing more special than bonding over board games with ur child! And they learn so many diff skills too!